ALLIGATOR GAR fishing at it's finest. Let us take you on a trip of a lifetime. Catch an exotic prehistoric fish right here in the Lone Star State. lifetime. I have had hundreds of satisfied customers over the years with rod & reel. 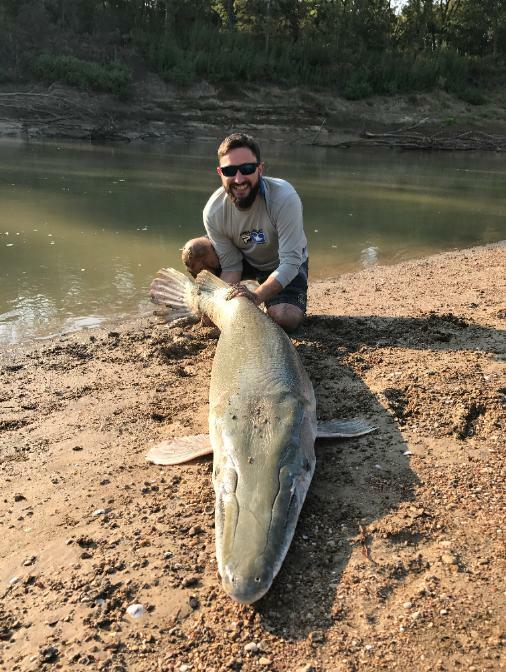 These giant RIVER MONSTERS are here in Texas waiting for you ! Choose the Best GAR FISHING GUIDE for your money. 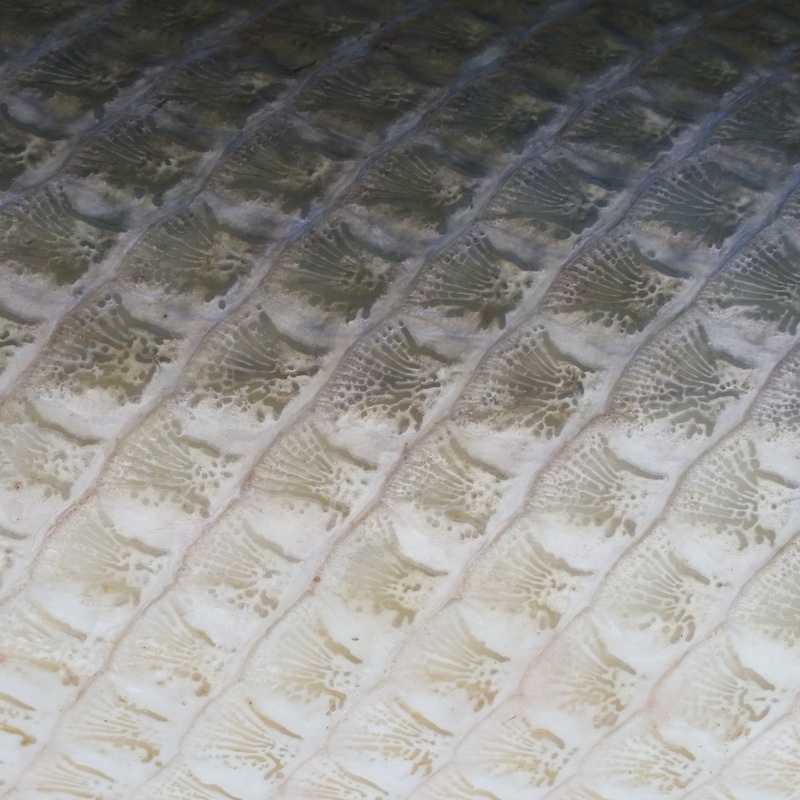 ALLIGATOR GAR for my clients. That's why I'm one of the top Alligator Gar Guides in the world. I have a 100% success rate on my clients catching ALLIGATOR GAR. page of some of the huge ALLIGATOR GAR that my clients have caught. Raccoons and lots of other animals too. 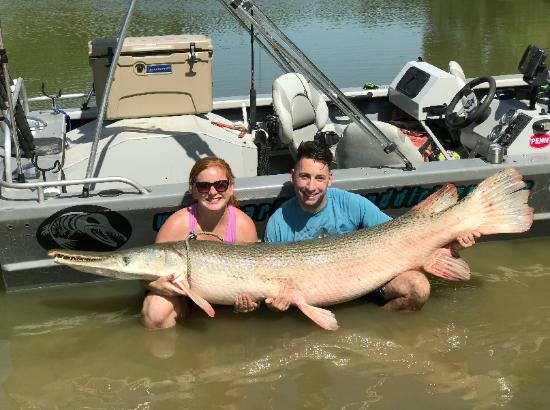 ALLIGATOR GAR. We also hook into some big Blue Cat and Flathead Catfish from time to time. waters of the TRINITY RIVER. 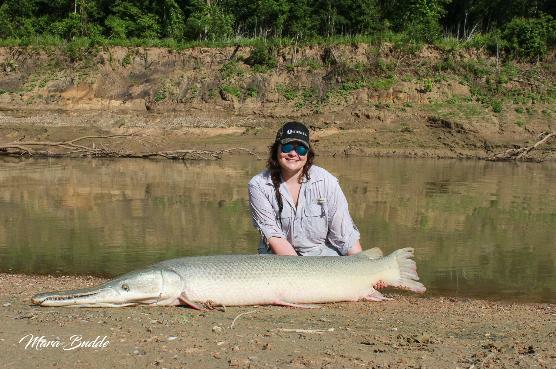 It will take you to the remote places that Giant ALLIGATOR GAR live. 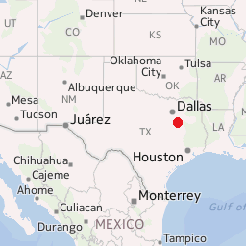 We are located about 2 hours south of the Dallas / Ft. Worth area. Trinity River within minutes from your room. Call and book your trip today ! The guide with over 25 years of experience !!! Call and book your trip today. 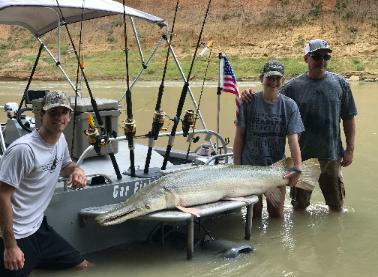 It's the largest Alligator Gar ever caught on rod and reel on video. The fish weighed in at approximately #280. She was 8'4" with a 44" girth. Click map for directions to the launch.